"This is an outstanding school." We are a small village primary school located on the borders of South Northamptonshire and Oxfordshire within 5 miles of Brackley. Due to small class sizes we are able to offer a high adult to child ratio delivering a broad and balanced curriculum. I hope that this website provides an introduction to our school, its philosophy and organisation. 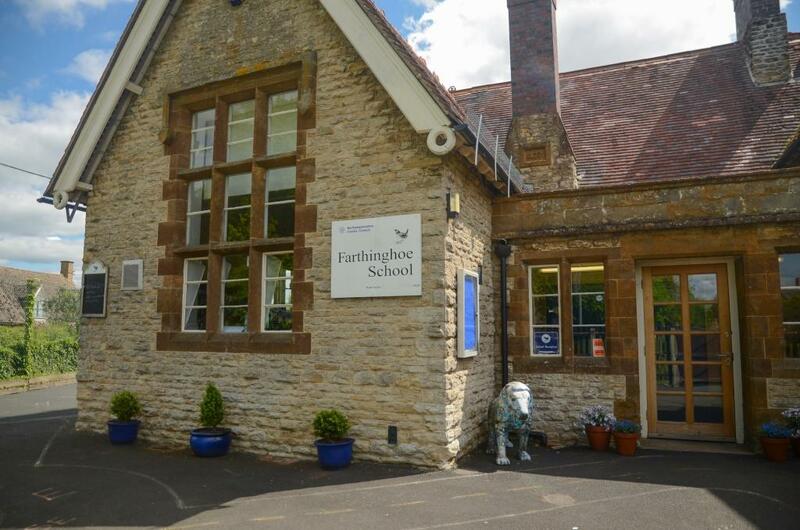 In order to experience what I believe are the special qualities of Farthinghoe Primary School, I invite you to arrange a visit to discuss your child’s education and to view the school at work. Why choose Farthinghoe Primary School for your child? Because our adult : pupil ratio is high, children receive a highly-personalised learning experience. Research strongly supports the idea that mixed-age classrooms are better for pupils. Not only do pupils out-perform peers of the same age academically, studies also show that they thrive socially. Our pupils academic achievement consistently exceeds county-wide and national performance data. Recent destination schools for our pupils have included Chenderit School Middleton Cheney, Magdalen College School Brackley, Warwick School, Royal Latin School Buckingham and Stratford-Upon-Avon Girls Grammar School. Our team is passionate, professional and highly committed to providing the very best for our pupils. Because of our small school community we are able to offer open and regular communication between parents/carers, pupils and staff. Mixed age classes mean children are encouraged to care for and support each other, a skill which they learn for life and which helps to create a wonderfully positive environment for all. We are proud to be a member of the Warriner Multi Academy Trust which we chose to become a member of in September 2018. By being part of the trust we are able to retain our unique learning environment and at the same time offer wider learning opportunities to our pupils. We are exceptionally proud of our most recent Ofsted report which rates us as 'Outstanding'. We enable our pupils to flourish as individuals and to have all the foundations to become confident and responsible adults. We are very proud that the overall effectiveness of Farthinghoe Primary School has been judged to be 'Outstanding' in our latest inspection by Ofsted.